A criminal appeal lawyer is often required to prepare an appeal by relying solely on the evidence presented during the trial. 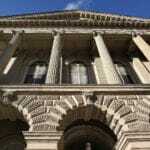 In some cases, the appeal lawyer can present new evidence to the appeal court. This can assist in getting the court to overturn a conviction or reduce a sentence imposed at the trial level. When new evidence is led on an appeal it is called “fresh evidence.” Courts of appeal have very broad discretion to receive fresh evidence though the Appeal courts have set a very high threshold to receive this type of evidence. Fresh evidence is not intended to be used as another attempt to litigate the facts heard at trial. What is the test for admitting fresh evidence on a criminal appeal? In all cases, the key question the Court must answer is whether it in the interest of justice to do admit the fresh evidence. This involves an evaluation of all the circumstances of the case. Note: this general principle will not be applied as strictly in a criminal case as in civil cases. No one factor is determinative. 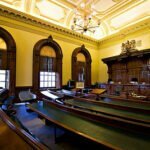 How can fresh evidence impact a trial verdict? Fresh evidence can impact the reliability of a verdict in different ways – for instance, it could create doubt on a theory advanced by the Crown, undermine an essential element that the Crown has to prove or impeach the credibility of a crucial Crown witness or the reliability of his or her testimony. In a recent Court of Appeal decision argued by Daniel Brown, his client has his conviction overturned and obtained a new trial with the assistance of fresh evidence. In this particular case, the fresh evidence presented on appeal helped show the appeal court why a key crown witness wasn’t likely telling the truth in her claim of sexual assault. What happens when fresh evidence is accepted on appeal? If the appeal court accepts that the fresh evidence should have been before the trial court, the only remedy is to overturn the conviction and order a new trial. It is for this reason that the Crown will often fight very hard to avoid having the court consider fresh evidence on appeal. 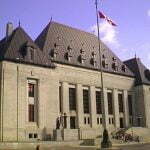 On an appeal against sentence, both the Crown and the court are more likely to accept fresh evidence. In the sentencing context, fresh evidence can present the appeal court with information that was not before the judge at the time of the trial. This is particularly so, when the client is released on bail pending appeal for a period of time waiting for his appeal to be heard. Fresh evidence led on a sentence appeal can cause the appeal court to reduce the length of a sentence or eliminate the jail sentence all together. It can also be used to modify the sentencing order in a variety of other ways. Fresh evidence is valuable tool to advance a client’s case before the courts of appeal. You need the experience of Daniel Brown, and the members of his firm, to determine if your appeal is one that could be assisted by fresh evidence and also how to prepare a strategy to present this new evidence to the court to maximize your chance of success. To learn more about the appeal process read: Criminal Law Appeals. To arrange a consultation with Daniel Brown, call his office at (416) 297-7200.